On a cool December afternoon, Luis Alberto Echeverria Melchor approached a dusty corral on the western outskirts of Turlock, a city in California’s Central Valley. Several young cows ambled over to greet him. “They are very intelligent,” he said, reaching out to stroke the face of an animal. “Sensitive, too.” Melchor should know. The 38-year-old has spent half his life milking and feeding the cows of Stanislaus County, a mostly rural region whose landscapes are dominated by sprawling dairy farms that produced half a billion gallons of milk in 2016 worth more than $600 million. During the 20-minute drive south from Melchor’s Modesto apartment, we had passed more than a dozen dairies, including several where he had once worked. From the passenger’s seat, Melchor, whose soft oval face is framed by a neatly trimmed beard, narrated the experiences in a sort of Cliffs Notes of labor abuses: The boss who stiffed him a week’s pay; the boss who refused to give breaks; the boss who yelled too much. 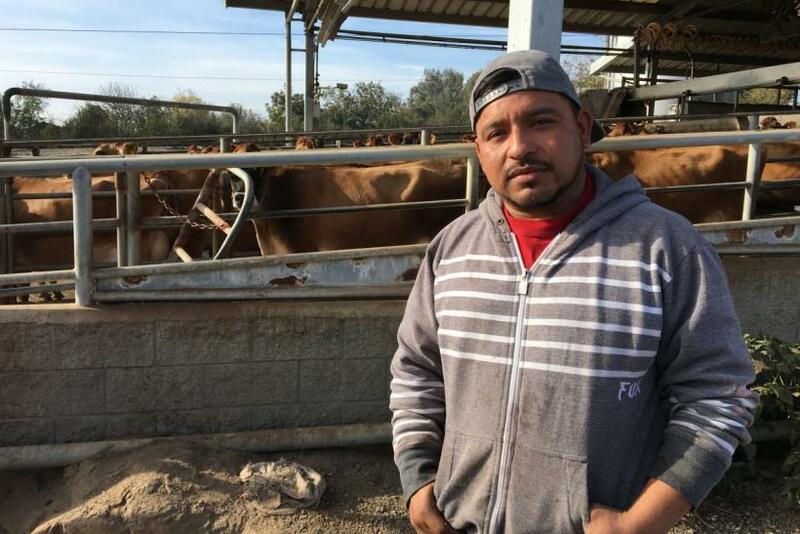 But it was this Turlock dairy that Melchor remembered best, for it was here that he finally decided to complain about labor abuses, and those complaints would eventually result in his deportation to Mexico. Whether Raimondo is able to gain a Supreme Court audience, the dairy industry will continue to seek new sources of pliant labor. On his website, Raimondo describes himself as the “primary labor and employment resource for California’s Western United Dairymen,” a trade association based in Modesto. Anja Raudabaugh, the group's CEO, recently told a reporter with the investigative website FairWarning that her members considered Raimondo “something of a hero” for his work. She emailed me that her organization “considers having the AG Act pass out of committee a major step forward” and that it looks forward to working with House members “as legislation now moves to the floor for a vote.” It is perhaps no surprise that the group, whose members produce 70 percent of California’s milk, are excited by the AG Act. It is an act, after all, that has no protections against retaliation and that shifts labor enforcement to an agency that has never enforced labor laws. It is an act that Raimondo himself could have written.